The Afghan police service has been forced to sell its arms to the Taliban, as officers have not received wages for months. Some have even joined the insurgents, local Khaama Press newspaper reported. The local police in Ghazni, Logar, and Maidan Wardak provinces say they have not been paid for three months and do not have money to feed their families. Many officers reportedly say they have no other choice but to sell their personal arms and ammunition. 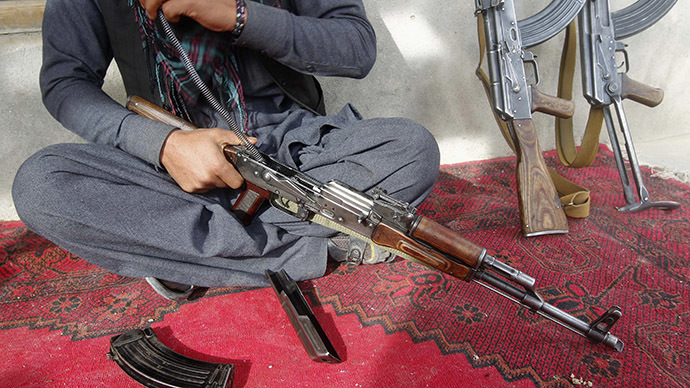 The buyers are usually local people – but sometimes they are Taliban militants. It has also been reported that some of the policemen have joined the militants. The online newspaper also claimed that in other provinces, police do not receive the ammunition, food, and arms which were promised by the government. “If I’d known this day would have come, I would never have made the Taliban a sworn enemy of my family,” said Abdul Jamil Andar, a local police commander in Andar district. The international community spent billions of dollars on equipment and training of the police forces. The Law and Order Trust Fund for Afghanistan (LOTFA), run by the United Nations Development Program (UNDP), was created to pay Afghan police salaries and pensions. 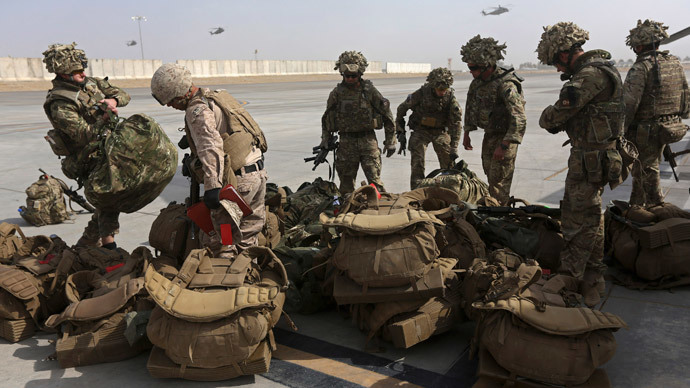 But recent audits by the Special Inspector for Afghanistan Reconstruction (SIGAR) show the lack of hundreds of millions of dollars in the police salary fund. SIGAR head John Sopko sent several letters to the administrator of the UNDP, pointing to “a string of irregularities” that raised serious concerns about corruption and mismanagement. Sopko also said that funds had been used to make payments to "ghost employees,” and mentioned "questionable deductions" that the Afghan Ministry of Interior may have taken from police salaries. The Ministry of Interior Affairs and LOTFA authorities cannot explain where the money went. Corruption is a major problem for Afghanistan. Transparency International, an organization that tracks corruption internationally, ranked Afghanistan at the bottom of its global list last year. At the end of October, police officers held a mass protest in Kabul demanding they be paid. They warned that officers could join Taliban groups if they did not receive their salaries. Meanwhile, the Afghan Ministry of Interior affairs assures the situation is exaggerated. “We have conducted and completed a thorough investigation into this and our findings show that these local police forces are loyal to the country and its people,” Sedid Seddiqi, spokesman for the Ministry of Interior Affairs, replied.